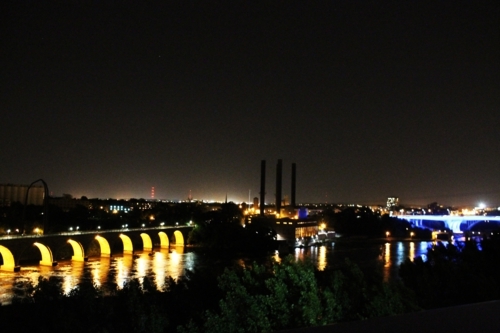 I’m preparing a series of blogs on my second trip to Minneapolis because it’s an awesome city that deserves the love. I liked it just as much this time around as I did last May, when I first discovered the city. 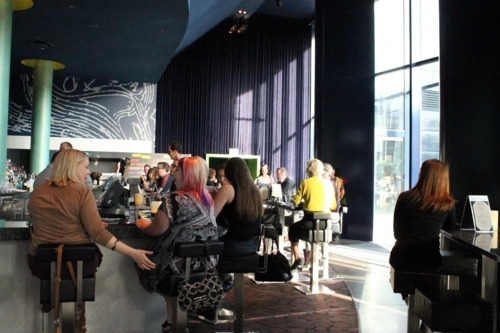 But rather than follow chronology as I normally do for travel blogs, I’m going to gush about the Guthrie Theater and review the play I saw there on my second night now. That play, the Amen Corner by one of my all-time favorite writers, James Baldwin, is playing until 6/17. I wanted to get my thoughts on it out there to encourage those of you in Minneapolis to see the show before it’s gone. But first, the theater, which is located in Downtown East. The Guthrie is assuredly among the best theaters I’ve been too—Durham’s Performing Arts Center is darn awesome, but I think it may take second place to the Guthrie in my rankings, and yes, that’s counting several metropolitan venues. The Guthrie wins for beautiful architecture, the Wurtele Thrust Stage that I’m fairly certain makes for no bad seat in the house, the restaurants and bars in the same building, and the gorgeous interior and exterior views. Click on me for a better view of the panorama! 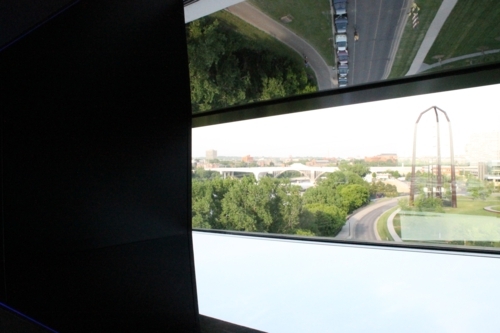 That last one is of the view from the Endless Bridge, one of the Guthrie’s striking features. 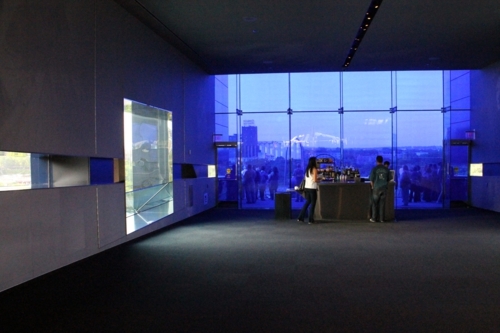 It’s of the Mississippi River with the Stone Arch Bridge from the building’s fifth floor. 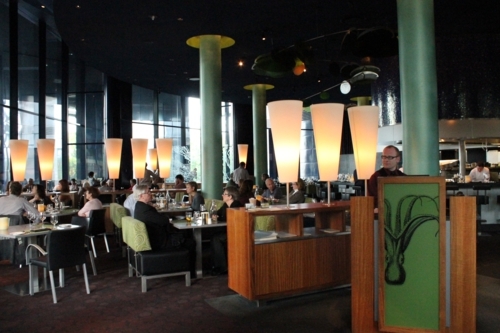 I wouldn’t be the Gourmez if I didn’t take advantage of some preshow time to check out the Sea Change restaurant on the lobby floor of the Guthrie. 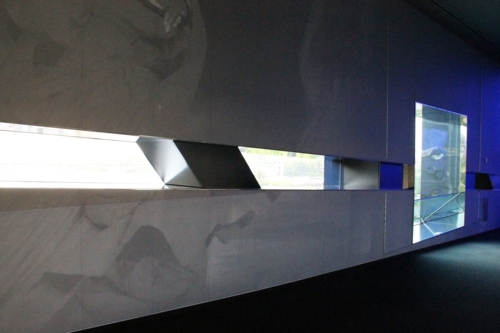 It’s very modern, and I especially enjoyed the relaxing blue lighting and the comfortable bar stools. The drink is their ginger Jameson manhattan ($10). It includes ginger-infused Jameson whiskey (Jameson is super huge in Minneapolis), kirsch liquor, and vermouth. It’s supposed to be topped with clove foam, but as is often the case for flashy extras, they were out of it. At least the bartender told me ahead of time; usually, the garnishes are just left off without a warning, souring my opinion. 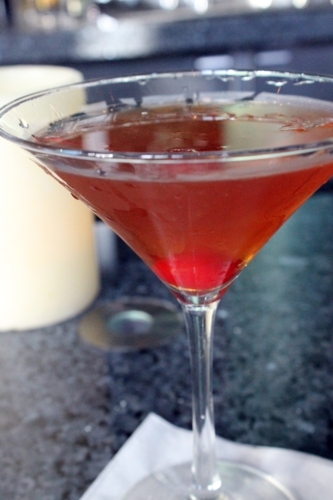 No souring this time, and it was a fantastic manhattan. The ginger flavoring was mild, making for an extremely smooth drink with a touch of sweetness from the kirsch. With the missing clove, I think it would have been phenomenal. Let’s talk about that show now—I’m not avoiding spoilers, because I’m as much discussing the text as I am the performance. The Amen Corner is being put on by the Penumbra Theater Company. Because there are hymnal performances written into the text, it’s actually a musical, and the Guthrie performance embraces that aspect completely, incorporating a variety of gospel and spiritual songs into the show, and nearly all of the actors partake in performing at some point. The music helped space out the show’s action, and of course, an African American play set in the 1950s must have glorious music. Plus, one of the main characters, David, plays piano in the church, and him not being at that bench is an important part of the ending action. But first, the beginning. Right away, the Amen Corner staging draws you in. Several actors who are never part of the play proper set the scene of a New York neighborhood before everyone has taken their seats. A homeless man, a pimp, a boy selling newspapers, a police officer: they are all just part of the background of this play about several members of a happy church with plenty of Holy Spirit and even more sanctification. Because of the neighborhood setting, you never lose sight of the economic and social environment, although the play does not touch strongly on these themes, but they are subtly important all the while. Sister Margaret is the pastor of the church, and Billy, the piano player, is her barely adult son. That Sister Margaret is a female is hardly a plot point in the beginning of the play, despite how unusual that was for the time period—it’s still unusual now in the Pentecostal churches I grew up in. We learn quickly that she is loved by her congregation, especially by a small group of elders, Brother and Sister Boxer, Sister Moore who appears to act as an assistant pastor, and her sister, Odessa. Sister Moore shares how she hadn’t thought a woman could be a pastor until Sister Margaret proved otherwise with her deep faith and amazing job with the church. Camaraderie between the main players runs rampant in the first act, although the Boxers and Sister Moore disagree with Sister Margaret that Brother Boxer can’t drive a truck delivering alcohol and maintain his clean witness. Yet they take great pleasure in being as sin-free as possible—considerable humor is derived from Sister Moore’s pride at having never been touched by a man. But that’s the thing, this is a congregation that wants Sister Margaret to be above them and disapprove of such acts, ultimately. They want a preacher without blemishes, and she more than acts that part for them, she believes she is it. Until her jazz musician husband comes back to town, and everyone learns that she left him a decade ago and not the other way around as she had said. First, it exposes that Sister Margaret had lied, her first crime. That her husband, Luke, is a jazz musician is proof to her inner circle that Sister Margaret’s life has been full of more humanity than they ever expected. Jazz is not acceptable to them; a musician is obviously a fallen man, and that Sister Margaret ever loved one is the beginning of her undoing. The first act is a bit slow, but because of the music, it doesn’t drag as easily as it might. Plus, it reminded me so strongly of my church experience that I had to know had happened next—I was at home among this congregation, and all their shortcomings were ones I’ve puzzled over for years. The parishioners constantly straddle the line between affirming their righteousness and waiting to condemn someone with two-faced conversation. The return of Luke is like the siren’s call to them, and the second act is viscous. Not only does Sister Margaret have to deal with the reality of Luke’s illness, but David rejects the church, and her inner circle—except for the truly virtuous and loyal Odessa—pounces on these circumstances as weaknesses that condemn her from her place of authority. It does not matter what life she lives now—that Sister Margaret ever lived one of a sinner is reason enough for them to twist everything she does against her. The cost of a trip to Philadelphia, of a new Frigidaire, and of her son and husband’s actions are all held against her by the same people who claim they are not seeking to besmirch her until the very end. Brother Boxer eviscerates Sister Margaret in one scene, bringing back in that strain of feminism that was so remarkable for its unremarkability in Act One. Once her position is assailable, he holds back nothing in criticizing her place, whether her family’s situation is proof of her failing as a woman, and if she ever had the right to be a pastor as a woman at all. Filled with the unholy spirit of spite, he leaves her to ascend to the church and releases a powerful performance full of negative energy and the opposite of uplifting praise of God. Dennis W. Spears deserves accolades for his performance in those two sequences alone. Sister Margaret is her own biggest critic. She truly believed herself above reproach at this point in her Christian walk, so much so that she was convinced leaving her husband, who had never hurt her but had been absent during the dark time when she found God, was right for her and for any woman in a similar situation. That background environment of poverty comes up again when Sister Sally, whom Sister Margaret had encouraged to leave her husband to live a more faithful life, returns to the church in grief and delivers a beautiful condemnation of the commonly espoused philosophy that tragedy comes to people because they aren’t being good Christians. Her parting words are worthy of joining the list of Baldwin’s best. But Sister Margaret doesn’t ever really get it. She doesn’t ever see that maybe being Christian isn’t about making yourself someone beyond reproach at the cost of everything else in life. She struggles with the idea, but at the moment when the audience is aching for her to be victorious over the coup her inner circle is throwing, she actually regresses. I thought that she would share with the congregation that she had learned a lesson, that seeking purity at all costs is not what following Christ is all about, but she doesn’t. She takes that pulpit and the same righteous words start flowing from her with just as much judgment as they always have, but this time it’s for the congregation with no reflection on her own actions. The congregation is engaged with her words, but when she’s on fire, she looks toward her son for support, her son who has always been at that piano bench, but he’s not there now. His absence is both heartfelt pain to her and proof to eyes full only of condemnation, that she is no longer worthy of this place. She collapses, deflates entirely. The congregation wants their leader to be above sin, and Sister Margaret knows that. She is no longer the person the congregation wants because she is no longer set apart from them, but is just like the rest of us, with all her faults exposed. The hypocrisy of expecting a pastor to be more than human is the biggest takeaway for me from the Amen Corner. And the drama when that impossibility plays out is so familiar to me, I was moved to my core. I can’t wrap this up without commenting more on the great acting. Greta Oglesby plays Sister Margaret, and her strength, faith, and turmoil is evident in every move she makes. Odessa, played by Crystal Fox, is the only truly honest person in the play, and she’s a quiet presence that stands as a witness to the hypocrisy she sees. And the trio of Brother Boxer (Dennis W. Spears), Sister Boxer (Thomasina Petrus), and Sister Moore (Austene Van) were amazing together. They masterfully portrayed vultures swooping in on a carcass before it ever knew it was dead. The Amen Corner has a slow start, but it’s a night of theater I’ll be forever grateful I watched. 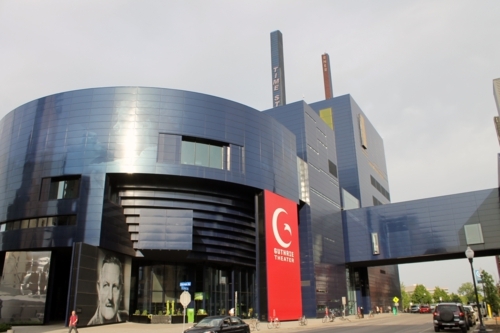 It was the highlight of this Minneapolis trip, and I hope those of you in the area take advantage of the amazing Guthrie Theater and that thrust stage to see it. Of course, I visited the Endless Bridge again at dark. When you have the chance to see an amazing show and amazing views in the same evening, why would you pass it up? The rest of my Minneapolis blogs will be more focused on photos and food, but I enjoyed the Amen Corner too much not to give it a bit of analyzation–that’s in my blood, too.